From day one, Samsung has opposed the display notch, but even the Korean giant isn't immune to the limitations of technology. While the new A8s doesn't have a notch, it does feature a "hole-punch" design that puts the selfie camera in the top left of the display. It's a clever alternative to the notch, but is it better than the teardrop style we've seen in devices like the OnePlus 6? That remains to be seen, but Samsung clearly prefers the look. 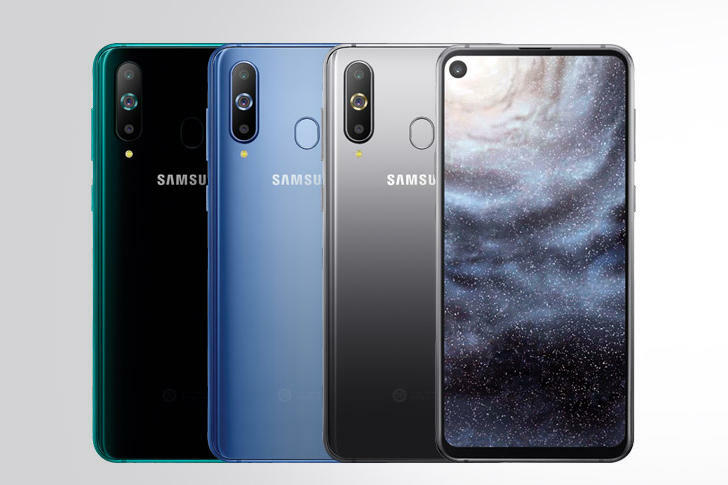 The Samsung A8s features a 6.4-inch (2340 x 1080) display, Snapdragon 710, 6GB or 8GB of RAM, 3,400mAh battery, and 128GB of expandable storage. Unfortunately, the device launches with Android 8.1, with no word on when it'll receive Samsung's One UI update. Flipping the device over, you'll find a triple camera setup (24MP f/1.7, 10MP telephoto, 5MP depth sensor); the front-facing camera features a 24MP sensor. Samsung introduced a number of display designs at its recent developer conference, including Infinity-U, Infinity-V and New Infinity, the latter of which may not feature a notch or hole punch at all. The New Infinity style may make its debut in the Galaxy S10, which is also said to feature an in-display fingerprint sensor. Samsung didn't reveal a price for the new A8s, though consumers will be able to pre-order the device beginning December 21.